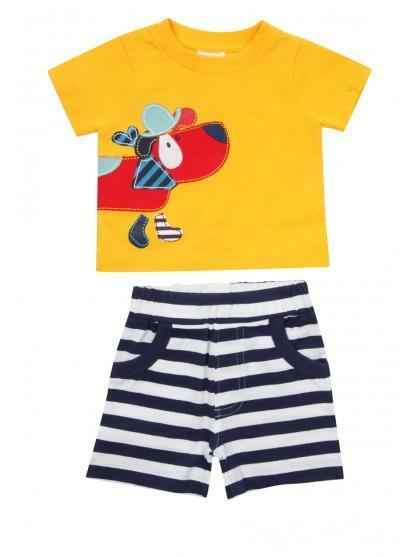 Dress your little hot dog up in this adorable sausage dog t-shirt and shorts set. 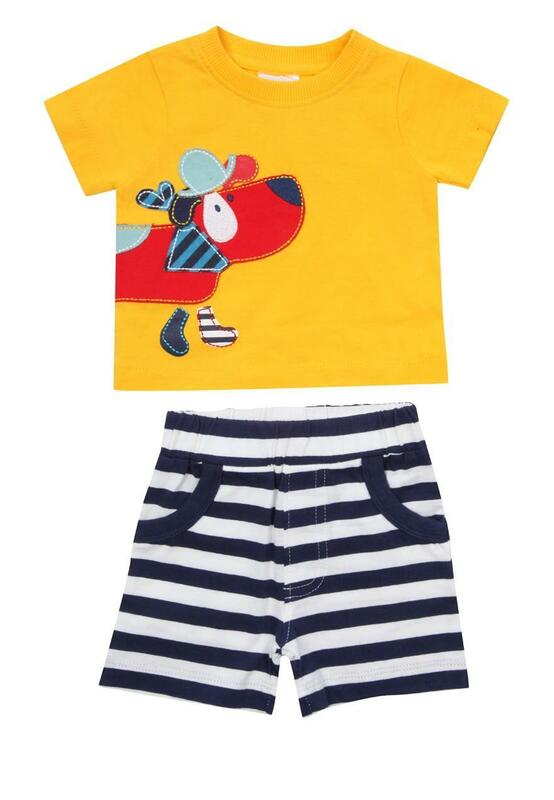 With striped shorts and a bold yellow tee featuring an adorable dog on both and back. your baby boy will just good enough to eat.